Below are the top social platforms for magazines, but first a word of warning. Publishers shouldn’t be lured into providing content across all of the platforms. In terms of social media less is definitely more. Develop a social media strategy that best suits your magazine. It’s about connecting and having a conversation with your readers – on a platform that best suits your brand. For example for travel magazines are very visual so Tumblr, Pinterest and Instagram accounts work well. The National Geographic Traveler Magazine provides content on Facebook, Pinterest, Twitter, Tumbler and Instagram. However, Wanderlust favours Facebook and Twitter. This strategy ensures content won’t be continually duplicated. Remember, technology progresses at a rapid pace, so be ready to move when a new, popular medium emerges. For editors and publishers the ability to follow new trends is essential to ensure their title is sustainable and current. A great platform, which enables you to create a dialogue with your readers. Not only can you publicise events and features in each issue, but also create a community among readers. By encouraging them to interact with each other and share their stories fresh content can also be created. It also has the potential to generate reader content as well as ideas for features. Check your wall daily. What are your readers talking about? Do they have issues or problems they can’t solve? By tapping into this you are not only being proactive, but engaging your audience. For example, an editor of a travel journal might ask readers for their best holiday story or favoured destination, while a writers’ magazine might ask their readers for self-publishing experiences. Audiences value vox-pops. They want to know about other reader’s stories and experiences. If they have the resources, editors can organise live web or Facebook chats with their readers in real-time. This has become hugely popular and helps to maintain reader loyalty. VERDICT: A great all round platform for any publication to have a conversation with their readers. A great publicity tool that can really boost your popularity as well as promote content and competitions within the magazine. To make this work your editorial team needs to tweet on a daily basis. Coordinate tweets with online, digital and print content. Build up your followers to maximize your output. Re-tweets can also have a big impact so get your audience involved. Revenue opportunities also exist on Twitter. Increasingly magazines offering sponsored backgrounds and tweets to their advertisers. But while this can boost income, caution is advised. Choose your partners with care. For example a writing magazine offering such a deal to a vanity publisher risks loosing its reputation by association. This then is likely impact on circulation, which in the long-term could result in a far greater loss in revenue. VERDICT: A must for magazines – perfect to publicise short snippets and build a large following. Focusses on engaging users with visual story telling through images. This particularly well for lifestyle, creative, specialist or travel magazines as images can be linked to advertisements or sponsorship deals such as competitions. Editors can publicise their latest issue, stories or how-to articles in the magazine through this visual storytelling medium. Readers can also contribute content by sharing their visual stories. This works particularly well for lifestyle titles. For example Good Housekeeping share the latest fashion trends, recipes and style ideas. Whereas Mollie Makes publicise every issue, as well as including links to projects and how-to tips. 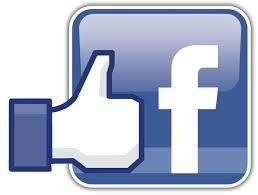 The magazine engages its audience, so readers respond enthusiastically with their comments and likes. VERDICT: Will engage visually orientated lifestyle audiences and thus help to create fresh content. A versatile platform, which is great for storytelling in the form of blog, images, videos, music or clips from TV shows. Keep the content short and sweet. The aim is to tell a story in pictures so use carefully chosen, icon images as possible. Tumblr. works well for those titles where images are sometimes more important that words. For example News publications, can share visual stories told with strong images and clever info graphics, while fashion magazines could use behind-the-scences shots of the latest trends on the catwalk. This site is also a good platform for customer (or contract) publications. Particularly fashion brands where behind-the-scene shoots can further engage and build a relationship with the brand’s consumers. VERDICT: A versatile and sustainable site for visually orientated titles. This is a platform for ideas. Again the aim is to tell a story in pictures so keep the content visual. It is ideal for consumer lifestyle titles as well as craft and food magazines. Like most social media sites there is an opportunity for publishers to create additional revenue streams by offering strategic partners and advertisers sponsorship on selected pins. But it’s not just about creating revenue. Connecting with your readers on a deeper level and building a wider network – by reaching out to their friends, family and colleagues – is a key strategy. 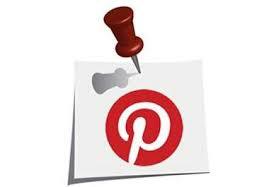 Stylist Magazine uses Pinterest extremely well by adding pins on content that is important to their readers such as weddings and holidays to fashion tips, food and the best library bars in London. 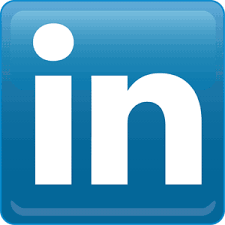 The last of our top six is the professional networking site Linkedin. A good site for those magazines looking to recruit more staff or B2B titles aiming to increase their audience by posting insightful content on the latest business news/trends. Engagement here is the key. Content must be relevant, thoughtful and productive. Editors must ensure that their posts have a professional angle and are valuable in terms of providing insightful business information. VERDICT: Specialised platform for those titles where content revolves around business in terms of audience engagement and raising a magazine’s profile. This entry was posted in Online & social media. Bookmark the permalink.